Infinite 25-2200 (3 gear range) constant spindle speed. Easy change in no time (4 sec). High efficient 7.5 HP spindle motor for high torque output. Accept both single phase and three phase power. Low maintenance and down time cost due to fewer gears in headstock. 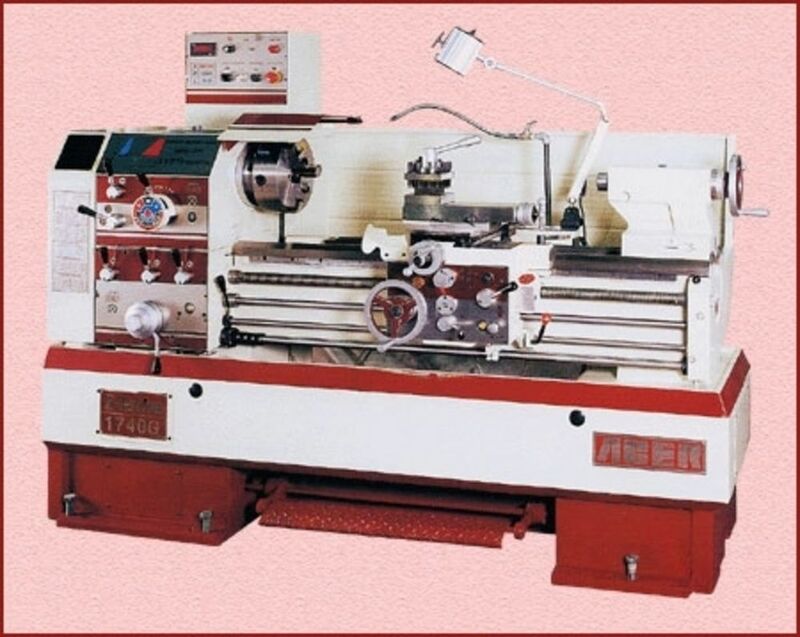 Electronic and mechanical brake for fast spin spindle stops internal threading. No R.P.M. gear changer break down, accurate reading on R.P.M. to prolong tool life. Save energy cost up to 35%. Spindle speed could be adjusted to best condition during cutting. The manufacturer reserves the right to modify the design, specifications, mechanisms, etc. to improve the performances of the machines without notice. All specifications shown above are for reference only.